Together with a couple of former colleagues and their partners, we went to explore an island in Maniwaya, Marinduque. To get there, we took the JAC liner bus (Kamias, Quezon City) which was cool because we had free wi-fi access inside. They claim to be the first one but they are no longer the only one because I saw a lot of buses with stickers advertising they have it too. 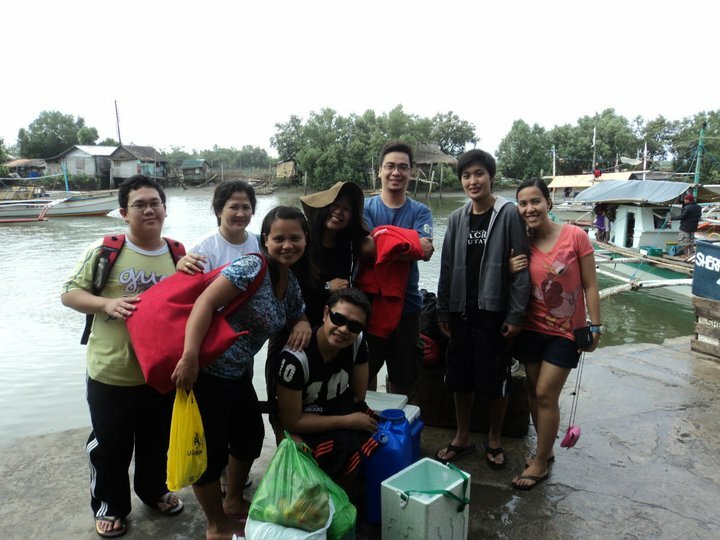 The trip was fun especially when you're with good company. It will take you around 3 hours with less traffic. We got off at SM Lucena where the Van terminals are. 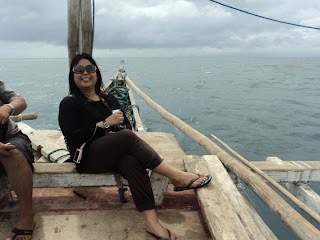 We headed out to Macalelon, Quezon where an old driver took us 2 hours. It took us forever though. He was very careful as it was dark and drizzling at some area. There was an area that they call it "intestines" or "isaw" in tagalog and no lights to guide you so I guess that slowed us down. Apart from the fact that our driver followed a big truck for who knows how long and we were just watching others van overtake us. We spent the night at a friend's house with the awesome and generous care of her parents. From there, a boat took us to the island which got us there like 2 hours. You really can't say how long the boat ride would be because it would depend on the weather and the sea. Ours were just fine. A bit slow but then I got to enjoy it because that's what vacations are. You shouldn't be rushing everything. And of course, the fact that the boat did not have any life jacket, it sort of took the panic out off me. It was like riding a yacht...just a ghetto one. We got excited when we got there seeing the creamy-close-to-whiteness sand. We stayed at Palo Maria resort. Not really a developed one but given the government has enough money, it could do some work. But we were prepared when we got there. We were expecting an island and nature experience. There was a house for us to stay which was beach front. The water we had to bathe with was salty. It was like taking a bath with sea water without sand. Actually I think it was. Bathroom needs some working. The caretaker opened her kitchen for us to cook our food. There is electricity run by generator daily from 5pm to 11pm. There were two videoke machines that did not work. So you will need to bring cards, mp3 player, board games etc if you go there. We built a bonfire. Saw thousands of bats travel as soon as it was getting dark, from one island to our island. Though I did not get to experience that as I was too busy drying my hair. Hey...electricity was just for a few hours so I took advantage. There are locals living at the back and they have small stores. You would enjoy this place if you are someone like me who worked in the BPO industry where it's all about achieving excellent customer service (in other words- STRESS) and want the other side of life; if you enjoy less people in the beach; if you enjoy just looking at the waters and thinking of just dipping in every hour; if you enjoy looking at the sky and see all the cloud formation; if you enjoy looking at the islands and think of all the animals it looks like; and if you just enjoy God's gift....then this is a place you should visit. We had very limited time to enjoy the island and hopefully when we get back there, I have more to share. It was all our first time and there were some challenges along the way but in the end, it was all worth it. If coming from Macalelon (where I am from), next time, go to Gen Luna (next town) where there are passenger boats (w/life jackets), 45 min. to PaloMaria. Best way... from Manila is to Lucena, (Dalahican port) to Buyabod. Then passenger boat to PaloMaria ( approx. 20 to 30 min. ), and good luck for next time...No control on Generator, how about portable lights??? Thanks for visiting PaloMaria!!! hi, do you have the number of the owner/caretaker of palomaria? we're planning on visiting the island before the month ends. thanks much! you can email it to me at beautyfullovedandblessed@yahoo.com if you may. thanks again! Hi Aya. Here is the contact number 09128150802 I also sent you an email. Have fun. Great post :). Planning to go there next week but we're having a hard time regarding our transpo. Any suggestions on how to go there? Thanks in advance. the only way I know is the route I mentioned. may isang resort na bago, Residencia PALO MARIA.. but, inasmuch as what facilities they put, iba parin yung feel dun sa PALO MARIA. ang mahal pa ng charges dun sa RESIDENCIA. Hi! we're going to marinduque this coming april. my children want to explore the beaches so we're planning of booking at beach club cagpo to enjoy the white beaches in Poctoy. Maniwaya island is also a must-see based on the blogs i read. can we enjoy both in 3 days? hope you can give us pointers. thanks. I've been to this place 2011 and the place then has not been developed then. I'm not sure how it is now. A day or overnight is enough to just beach bum would be good unless gov't or the beach owners have developed it to introduce more activities. I hope that it's still remain as clean as it was the way we remembered it. Hope you can share your experience when you get back. That would help us who wants to go back. :) Thanks for visiting my site and hope you have blast there. i've been there 3days ago and still beautiful and clean, its little boracay but still virgin, you will enjoy it like us. wow....then more reasons for us to go back again...glad it's not spoiled pa.
hi is this located in Luzon? 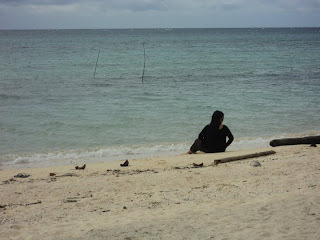 yes.....it is in marinduque ....quezon. i already went there with my bf's family and it's owned by his auntie. 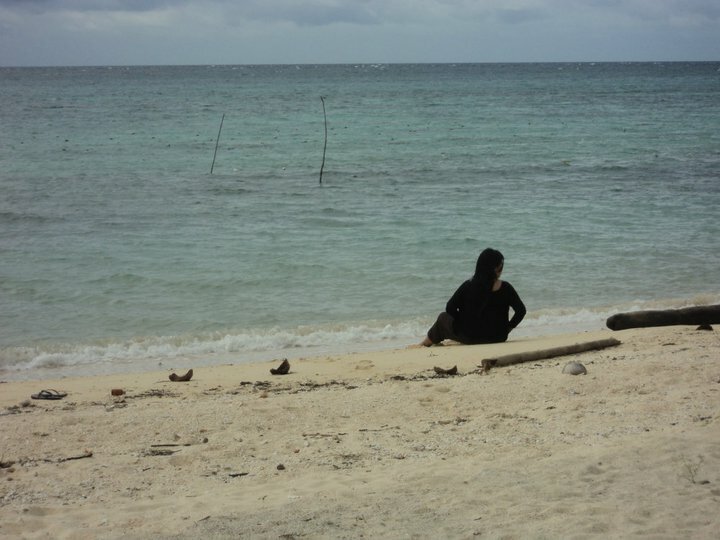 that place is quit amazing and peaceful.. i really enjoyed my short stayed there, lalo na when we went at sand bar.. try that place too..
will do when I get back. thank you.